If you intend to put up temp fences in high traffic or pedestrian areas, installing handrails on your panels is highly recommended. Handrails can help to make the area around your panels safer, minimise the likelihood of accidents and make the vicinity much easier to navigate. In particular, handrails can alleviate the danger of pedestrians tripping over the bases of your temporary fences. 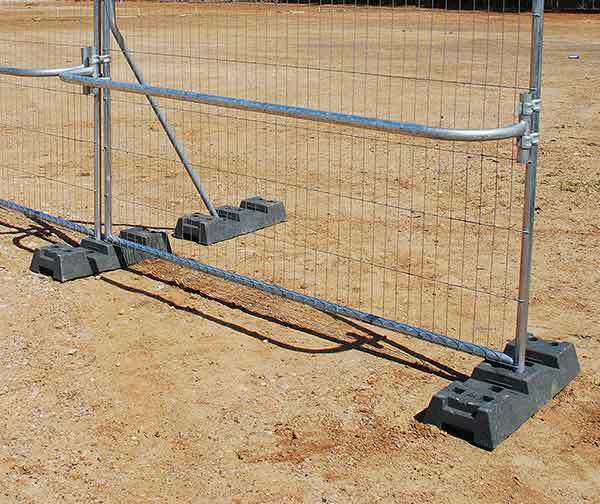 Our handrails can be quickly, easily and securely attached to our temporary fencing panels with heavy duty couplers in a matter of minutes. They are easy to remove and transport, making the end of your project a stress-free affair. Attaching handrails to your temp fences displays your commitment to safety and helps to make your site much user-friendlier. Work together to create a safer environment not only for the members of your organisation but also for the public at large with our sturdy handrails. All handrails can only be used with National Temporary Fencing’s solutions.